It's a valuable "cross-fertilization" of knowledge. Tesla’s second-quarter earnings for 2017 are in. That means there’s also a bunch of updates and sneak-peaks inside the company’s world of innovation. These tidbits more often than not come from CEO and founder Elon Musk himself, and this time, he revealed an interesting detail about SpaceX. Yes, that’s no typo. After some investors asked how innovation at SpaceX (which is also run by Musk) could be applied to Tesla, Musk recalled a particular instance when it actually happened. It’s not about rocket propulsion or anything of the sort, of course. Instead, Musk talked about how SpaceX helped fix a major issue in Tesla cars that resulted in saving eight hours of work per vehicle. This was made possible because both SpaceX and Tesla are run by the same person. But just as much as this collaboration is about Musk, it’s due due to the kind of work being done by both companies. Each one’s determined to build better products — cars for Tesla and rockets for SpaceX. That determination makes it necessary, and even inevitable, for both to share research behind building their materials. “This cross-fertilization of knowledge from the rocket and spacecraft industry to auto and back and forth I think has really been quite valuable,” Musk said during the call. It’s a shortcut, really. Tesla and SpaceX need not look far for support when it comes to the “high-volume manufacturing of something that has to be extremely reliable,” Musk said. The same can be seen in how Musk’s relatively newer tunnel-digging venture has been depending on SpaceX for its tunneling machine. 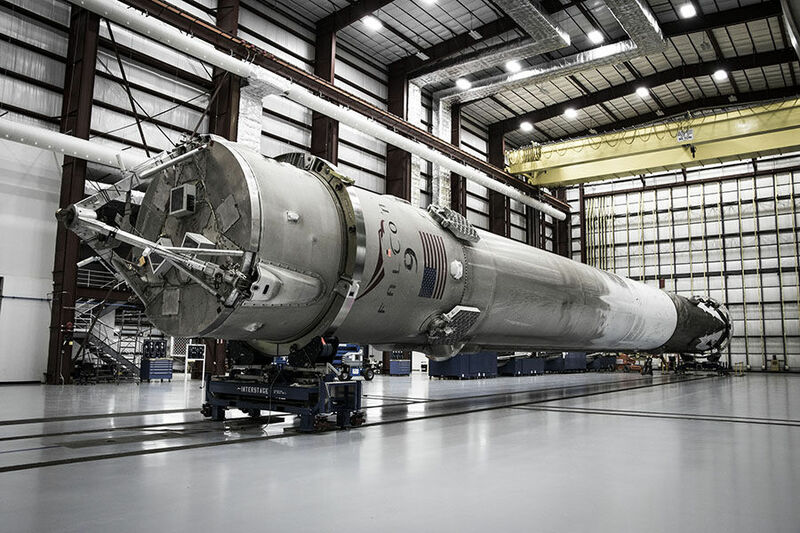 For Tesla and SpaceX, this combination of minds is obviously a benefit — one that could help ensure the quality of materials and products developed by both. It’s certainly not impossible for SpaceX’s rockets to run a similar autonomous system found in Tesla’s vehicles. Who knows?